The NineHertz is being listed among Top Mobile App Development companies in USA and India by Business of Apps in 2018. 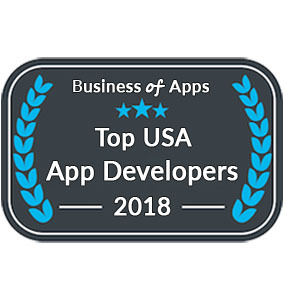 CINCINNATI, OHIO, UNITED STATES, July 19, 2018 /EINPresswire.com/ — Business of Apps has rolled out its 2018 list of Top Mobile App Development Companies in USA and India. The list consists of the names of the companies that have performed remarkably well in the mobile app development domain and have received appreciations and good feedbacks from their clients. The NineHertz ranked Top 5 Mobile App Development Companies by Business of Apps for performing extremely well in the mobile application development domain. The company has gained recognition from clients over the years and have become famous for delivering time-bounded services to their clients all over the world. The NineHertz has been constantly working hard to compete with their previous rank in the list and thus putting endless efforts to hold a higher position than last year. Undoubtedly, the company's team has performed outstandingly in achieving what they have aimed. The company has implemented new and emerging technologies to bring the advanced and feature-rich app development solutions for their clients. Working on multiple platforms like iOS, Android, Cross-Platform and Wearable, the company has developed 450+ applications on widespread domains of mobile app development. The NineHertz has provided excellent services to their clients over the 9 years of its operation. Thus, making customers happy and building strong and loyal clients around the globe. The business of apps enables the audience to have hands on the insight information about any app development company by analyzing industry news, insights, data, analysis, and statistics. Judging companies based on parameters like client's feedback, rating, quality of work, timely delivery, technical experience and usage of new technologies are few barriers that a company must pass to be in the list. After receiving the huge recognition from the business of apps, it has become quite clear that this company has a way to satisfy their clients and reward them with a quality of the product. The company is known for developing apps with minimalistic bugs as they follow the customer-engagement model at each stage of app development. This has made the company earn a brand image as they take their work responsibility with utmost sincerity. The business of apps lists The NineHertz under Top 5 mobile app development company in USA and India, which has added value to the company. The business of apps laurelled The NineHertz for being one of the best and renowned top company in the mobile app development industry. To know more about The NineHertz click here, mobile app development services. The NineHertz builds engaging and end-to-end high-performance apps for high-level of user experience. The company strike to enhance ROI and brand awareness of their clients. The company serves more than 15 countries worldwide and offering a broad spectrum of the services. Operating for more than 9 years in the IT industry, the company earns great experience and variety of skills. 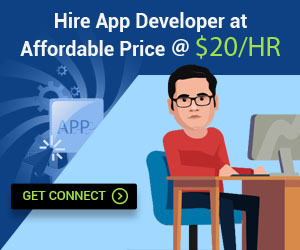 The company has a team of 200+ professional developers having an experience of 7+ years. Having a fine knowledge of the latest emerging technologies like Beacon, AR, VR, On-Demand Solutions, Inventory Management, ERP Softwares, etc. They develop top-notch mobile applications with 100% user satisfaction for their global clients.